Unique in its kind with a multiplicity of lifts and descents, connected to each other in a panorama surrounded by rocky peaks, dense forests and snowy landscapes. 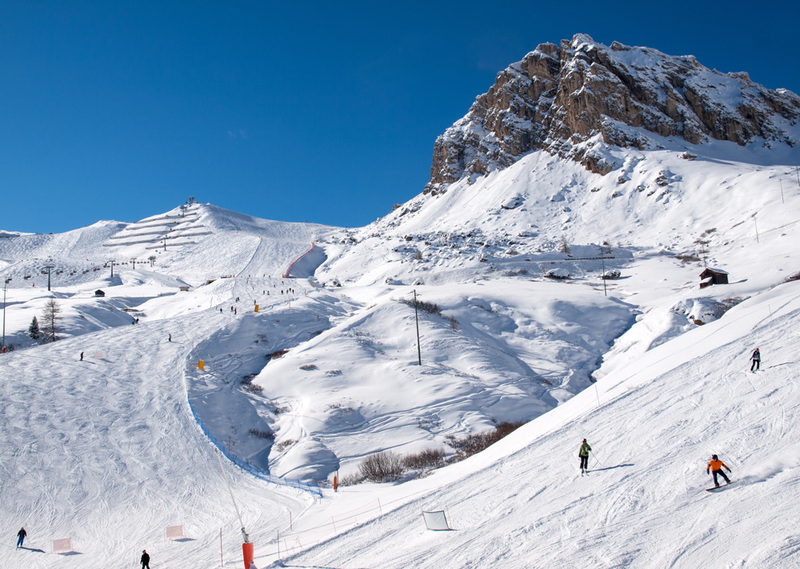 Making the round of the Sellaronda is easy and convenient, just reach one of the four places around the Sella massif. All these places are connected to each other. 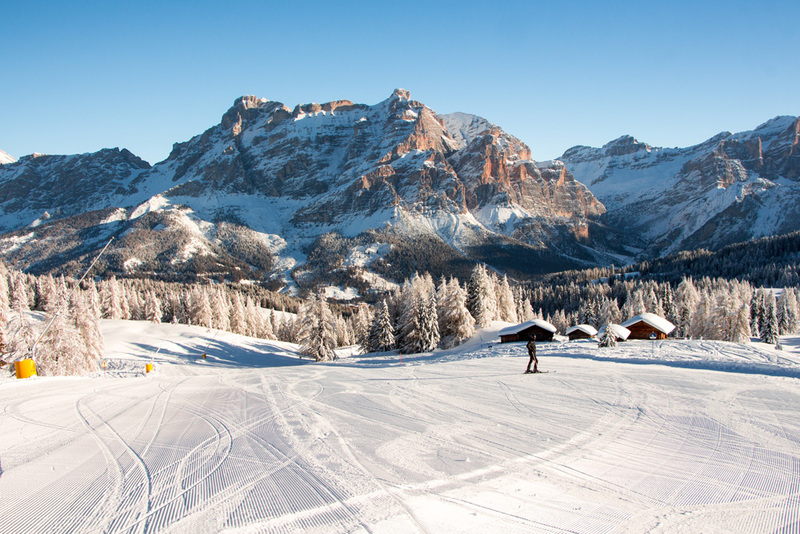 The localities are: Val Gardena, Corvara, Arabba and Canazei. 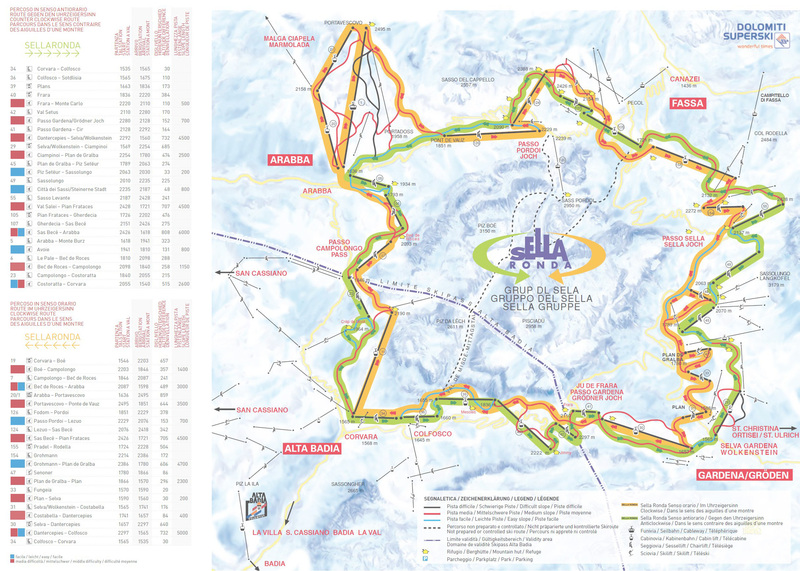 The Sellaronda extends (between lifts) for 40 kilometers. 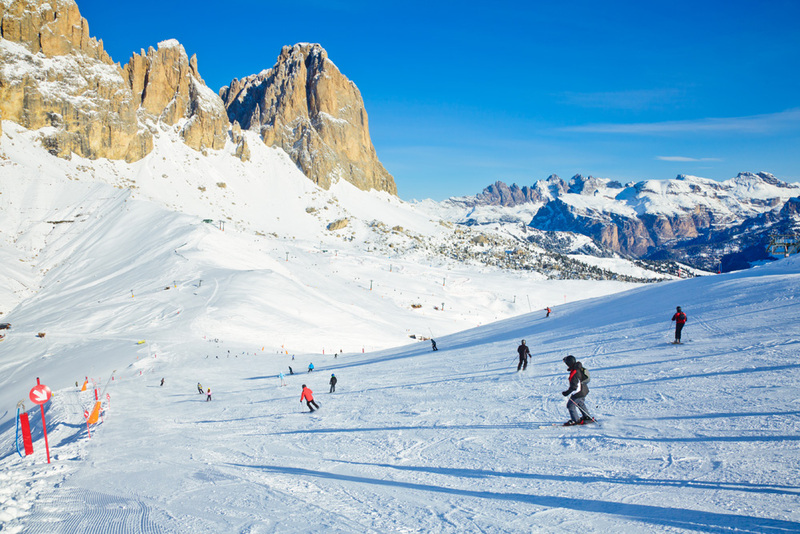 To ski the Sellaronda it is required to have some physical and athletic preparation, since the slopes are of medium difficulty. 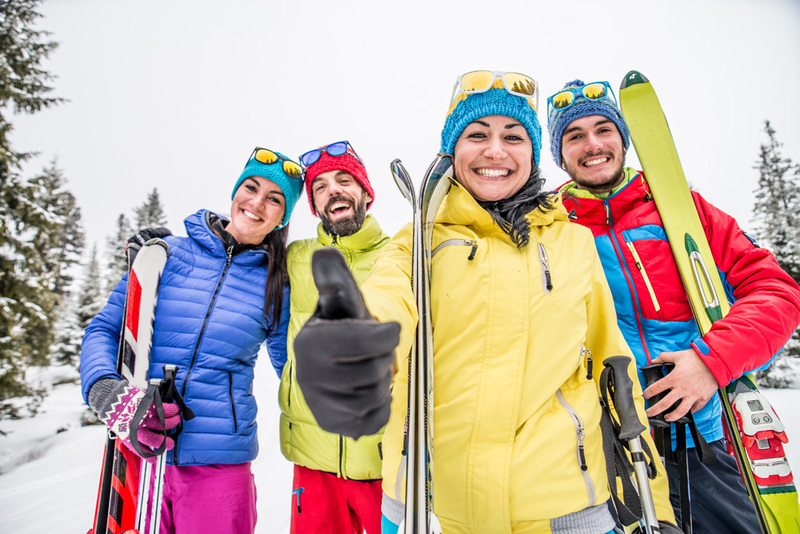 The total duration of the ascents is about 2 hours, without taking into consideration the wait at the ski lifts and the restaurants, shelters, present along all the downhill slopes. 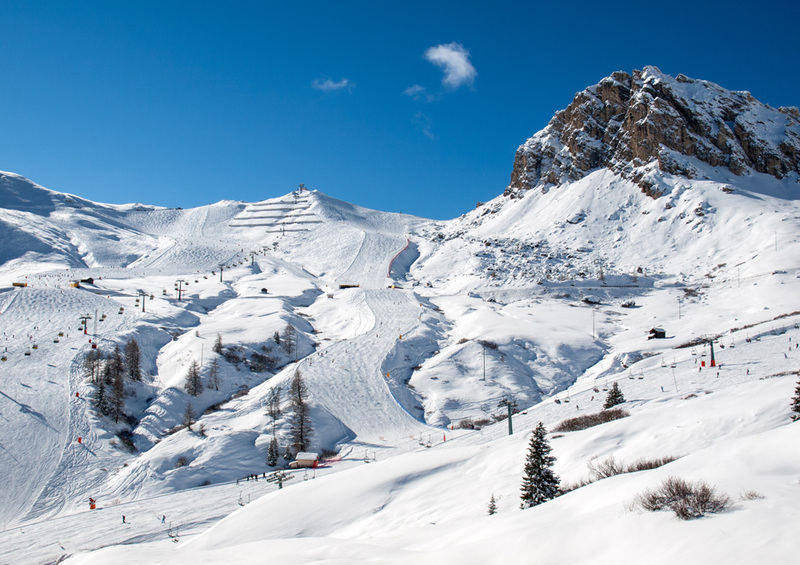 Therefore, it is advisable to start the Sellaronda tour by 10.00 am and not later, but even more important is to take the last pass before 15.30, to avoid the risk of closing the lifts. 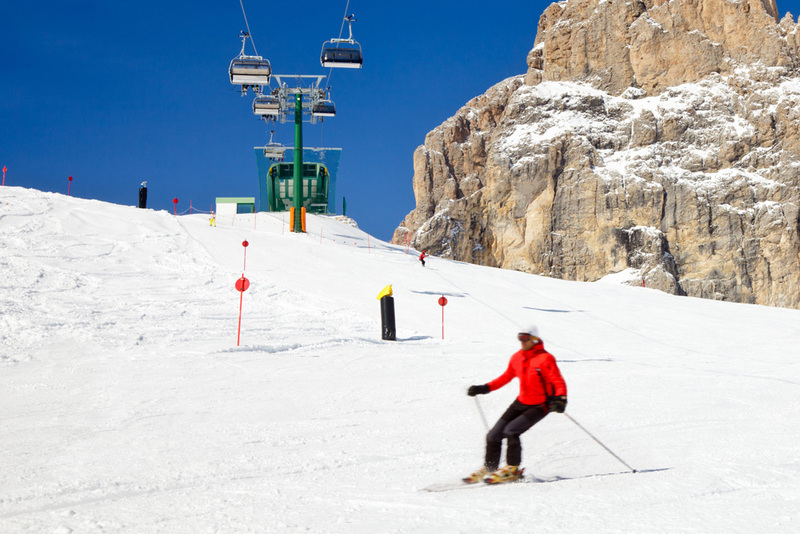 The descents can be done in about 3 hours skiing, depending on the ability of the skier. On the map of the skiarea you can see the possible meeting points.